Don’t be caught with a droopy ‘stache. Eddy’s De Luxe Mustache Wax, made with beeswax and a touch of shea butter, will keep your mustache up and twistable. 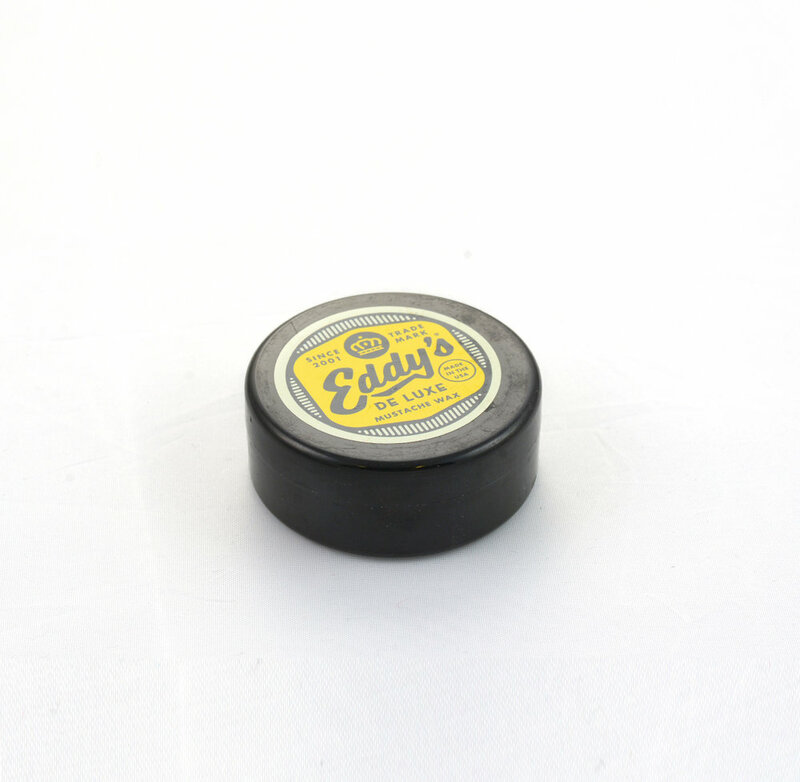 Keep your mustache conditioned and in place with Eddy’s Mustache Wax! Break down a small amount with your fingertips or use a hair dryer to heat up the wax to make it more manageable. Once on your fingers, rub the wax together to warm and start to apply it from the center of your mustache to the edges. Twist optional. Australia, New Zealand and Asia.